Rock climbing in the Joshua Tree National Park is one of the most rewarding activities available to the average person. The catch is that it is also one of the most physically demanding. It is not something that should be attempted by a person who is not physically fit. If you doubt whether you have what it takes to start, you should start with this basic Joshua Tree rock climbing training. 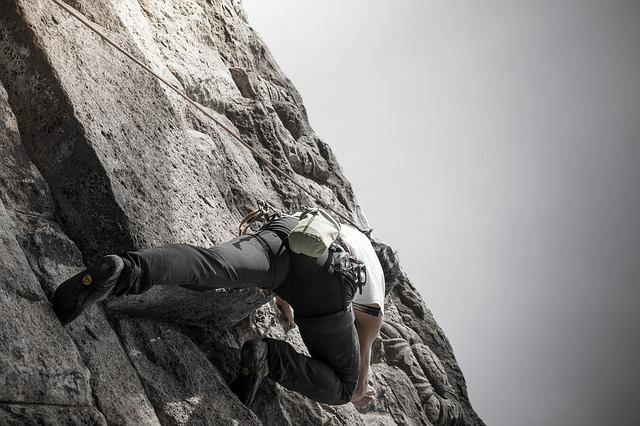 All of the above factors play into having a safe and efficient rock climbing strategy. The goal is to have a great strength to weight ratio. You need to have a lot of strength to carry yourself, while also maintaining a healthy body weight that will not drag you down. This is because rock climbing focuses on pushing the entire body up with the legs, while also pulling oneself up with the arms. Total body strength is the order of the day. The schedule should include four to five workouts per week, with three of the days devoted to strength training, while the remaining is meant for cardio. Cardio workouts should involve both static and dynamic stretches, on a 30 to 60 minute rate. Alternate between light to moderate cardio and high intensity workouts. The strength training, on the other hand, should be all about frequency and repetition. It is all about building muscle strength alongside stamina, though avoid overdoing the protein bars. You don’t want to bulk up too much, as it could affect your weight and mobility. These workouts will also need to be balanced with some time in the climbing gym, just so you will have proper application. A great way of balancing workouts with climbing gym time is to focus on strength and fitness in one week, then climbing technique on the next. Alternate the schedule. While some climbers focus only on actual climbing workouts, as it also lets you get stronger, a focused strength regimen will translate to better improvements. Of course, the physical training is only one part of the equation. You also need mental preparation and some actual experience. Nothing beats having a climbing guide alongside you to teach you the basics, as well as the little known tricks that will boost your efficiency. Contact Uprising Adventure Guides and we will pair you up with one of our wonderful veteran guides.